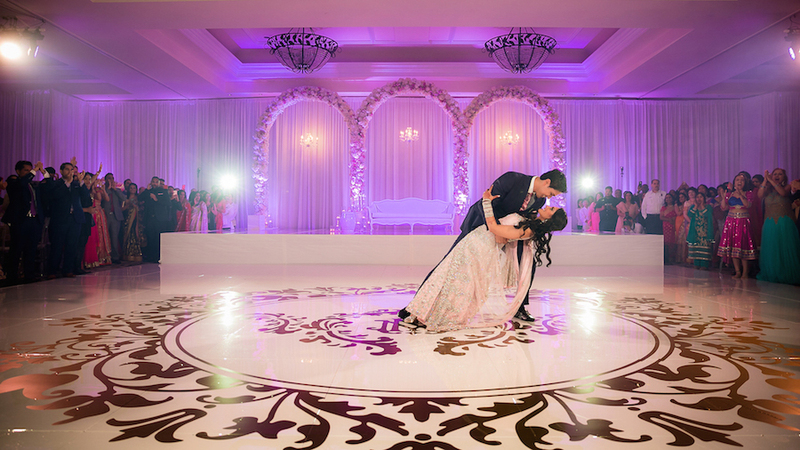 One of the many events for Megha + Nikhil's Indian Wedding celebration at the magnificent Monarch Beach Resort in Dana Point, CA. A red rose and purple orchid bouquet to match the bride's attire. The ceremony decor was infused with bright reds and purples accented with rich gold. The pergolas were covered in the same roses and orchids as the bride's bouquet. The reception had an airy and elegant feel with violet and white as the primary color combination. 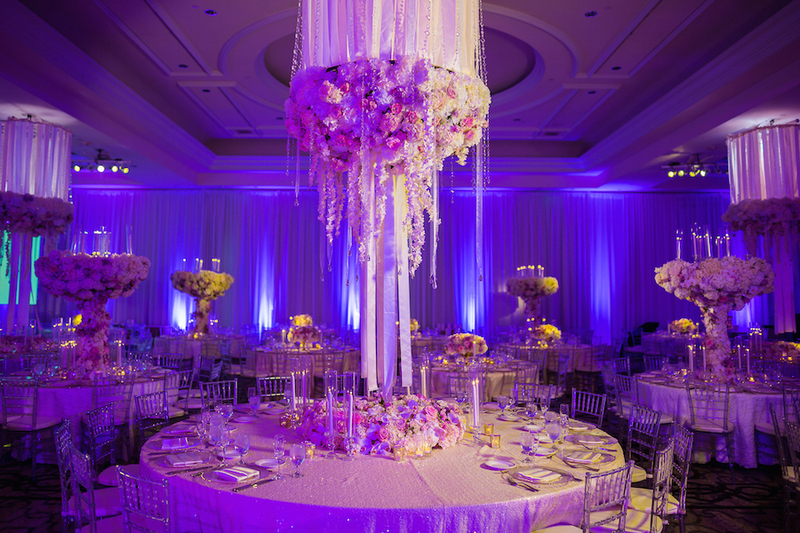 Lovely flower arrangements as centerpieces and floral chandeliers hanging from the ceiling created an ambiance that set the mood for the rest of the night. The guests enjoyed wonderful food, music, and dancing throughout the night. To top it all off, fireworks lit up the night as the celebration continued.